Houstonians are busy people—our days are filled with work, school, traffic, and taking care of our families. There are a few precious hours left to spend on ourselves, and sometimes these hours are consumed by chores or errands. I recently visited a gym that not only understands this time crunch, but has built an entire workout model upon it. Meet 9Round, a kickboxing-inspired, trainer-supervised, fast-moving gym that aims to challenge all of your major muscle groups in a mere 30 minutes. 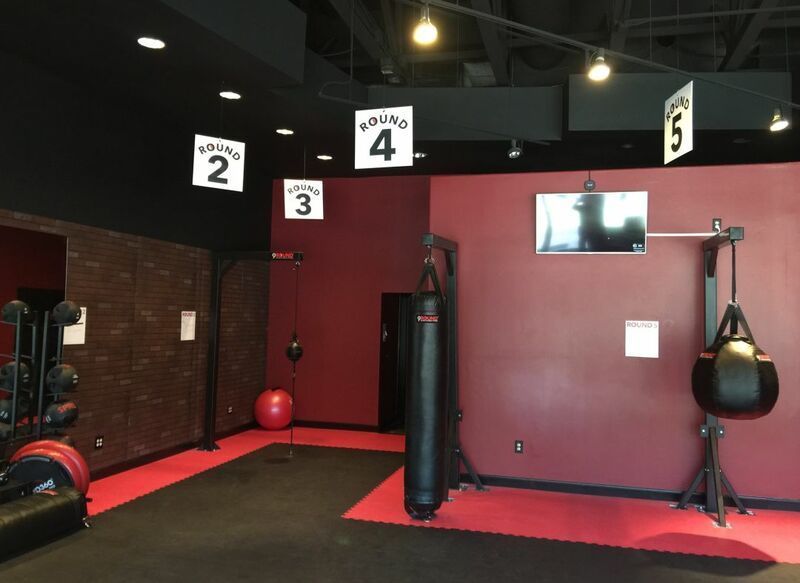 I scoped out the website before heading to the 9Round location near Shepherd and Westheimer, but I still wasn’t completely sure what to expect. 9Round was founded in 2008 by professional kickboxer Shannon Hudson and recently opened its 300th club worldwide. “The culture is high energy and inviting to all, beginner to advanced. 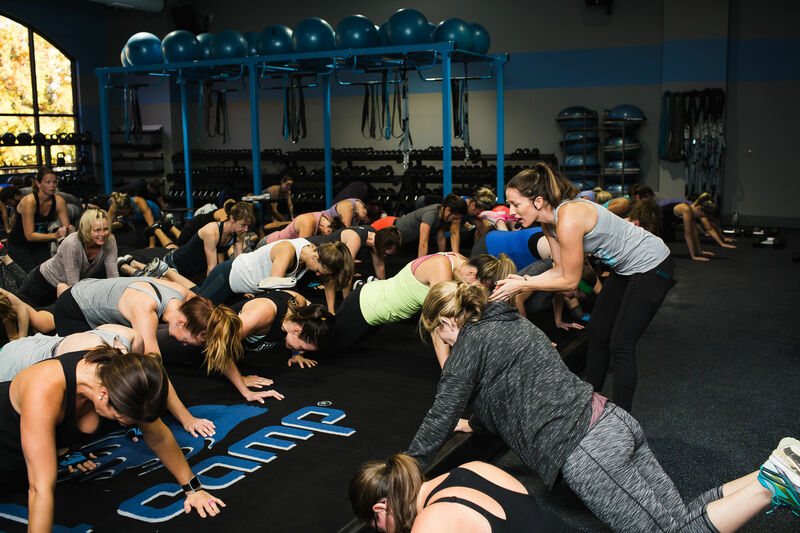 [It’s] fun, fast, and effective because the workouts change every day,” explains Pete Ekstrom, a 20-year veteran of the fitness industry and the owner of Houston’s newest franchise location on the north end of the Heights. 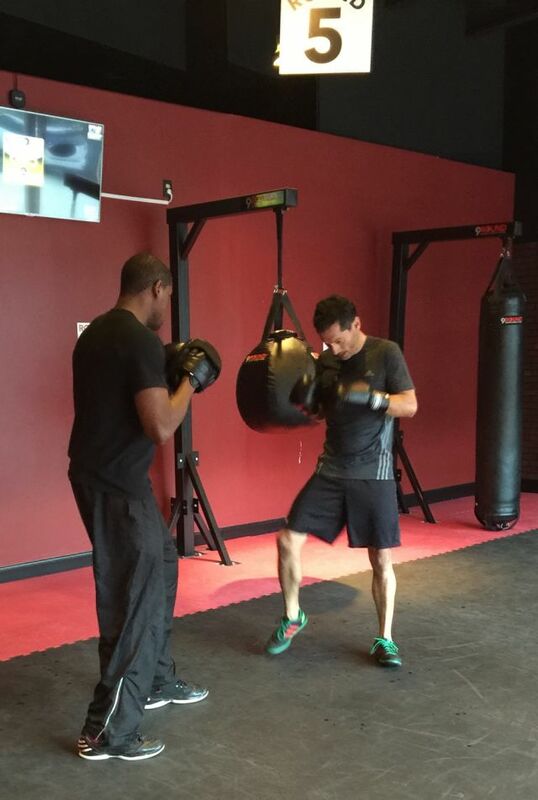 9Round trainer Chris works with a member on his punching form. Upon arrival, I noticed that the gym, while small, was bustling with people and the energy was indeed high. I was greeted by Chris, one of three trainers helping to guide the day’s workouts. The gym’s owner, Sam Nguyen, gave me the rundown of how 9Round works. There are no class times, so you can show up at your convenience and a trainer will start your workout almost immediately. How? It's a circuit training model, meaning that there are nine exercise stations that everyone will go through. Every three minutes, a bell sounds and a light indicates that it’s time to rotate, at which point one of the trainers demonstrates the next station’s exercise. After a quick note on punching technique (don’t bend your wrists! ), the green light flashed and the bell rang—my turn to jump into the rotation! My first station’s exercise was to hold a plank position for as long as possible. Whew. Three minutes suddenly seemed much longer than I had envisioned. 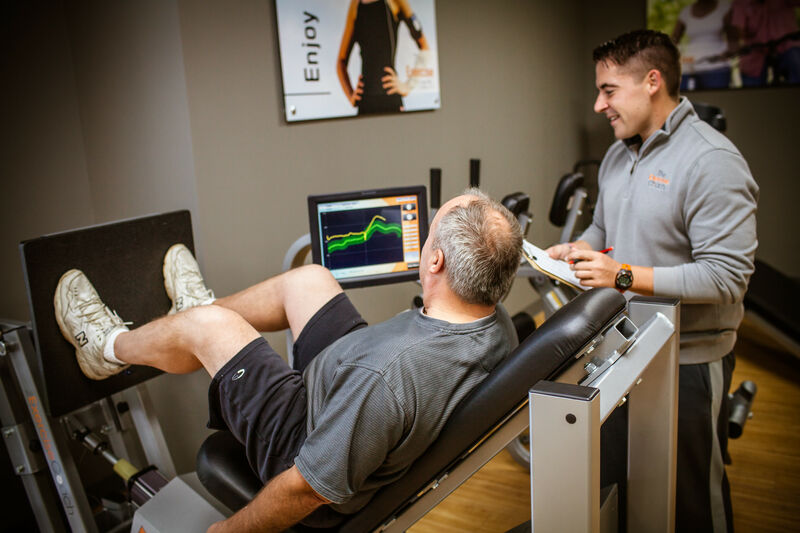 Since it was my first visit, the trainers suggested that I pace myself and take breaks when needed, but they also kept an eye on everyone and encouraged those who might be struggling. After seeing how the first couple of rotations worked, I began to feel like I had a comfortable grasp of the flow and rules. The remaining eight stations consisted of squat jumps, weighted step-ups, Russian twists, mountain climbers, and a beginner’s introduction to uppercuts, knee kicks, jabs, and speed bagging, which in my case, was not very speedy. The trainers were attentive and made sure that I understood each new movement, although due to the class format there wasn’t time for extended interaction. For participants who are new to basic movements such as squats and planks, it would be helpful to research proper form ahead of class to prevent injury and get the most out of each exercise. When the bell sounded at my ninth and final station, I looked up with surprise: Am I really done? As the trainers fist-bumped me for a job well done, I felt exhausted but also relaxed. After all, I had just spent the beginning of my workweek throwing punches as hard as I could. Take that, Monday! 9Round currently has 4 locations in Houston and surrounding areas. The first visit is free.